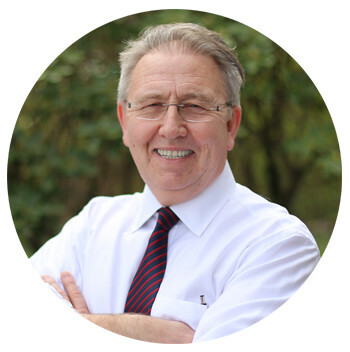 Dr. Lee Yardley graduated with his Doctorate from Palmer College in Davenport, Iowa in 1978 after completing his pre-professional education at the University of Auckland in Auckland, New Zealand. In 1996, after completing rigorous trainings and a series of written and practical examinations; Dr. Yardley was Board Certified as an Upper Cervical Practitioner with an exclusive focus on the Brain-Body connection, one of the body’s largest impediments to health. Wanting to share his knowledge, Dr. Yardley developed a curriculum for Intermediate Biomechanics, introduced in 2005. In addition, he supervises and sponsors a two-year postdoctoral program for doctors from all over North America who are looking to advance their clinical skills. After serving five years as President of the Association, he is now the Vice President and Co-Chair of the Educational Board and serves on the Board of Directors. 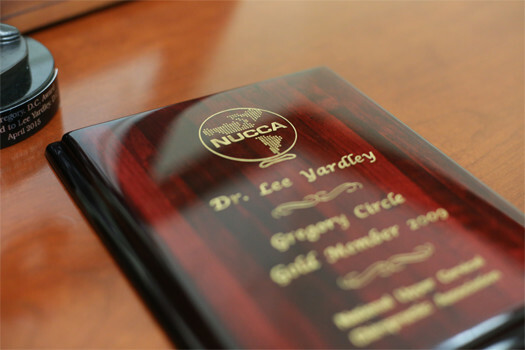 As a member of the Certification and Standards board; Dr. Yardley is, at times, specifically requested to assist in vetting doctors prior to Board Certification. Dr. Yardley was born and raised in New Zealand. In his pursuit of a career which had no training centers in the southern hemisphere, he moved to the United States to further his education and practice. Dr. Yardley’s love for his wife Roxanne led him to call the Pacific Northwest home. He has lived in the greater Seattle area for over 35 years. His life’s passions are his wife, daughter, granddaughter and championing the approach of healthcare over disease-care. Board Certified Upper Cervical Practitioner, one of only 23 in the world, since 1996. Senior Instructor and director on a research board of 11, a Lifetime appointment. Recipient of The Gregory Award. A lifetime achievement award with only 10 recipients in history. Co-Chair of the Educational Board that establishes curriculum and credentials instructors. 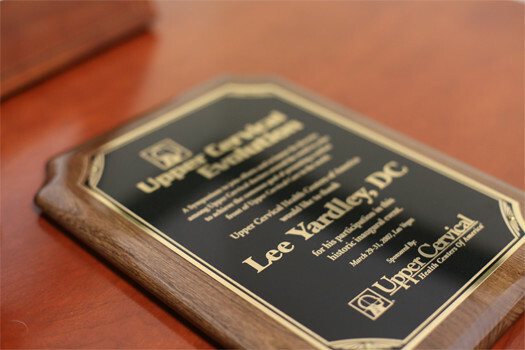 Dr. Yardley was an honored at the Upper Cervical Evolution Symposium. Dr. Yardley received the lifetime achievement R.R. Gregory. 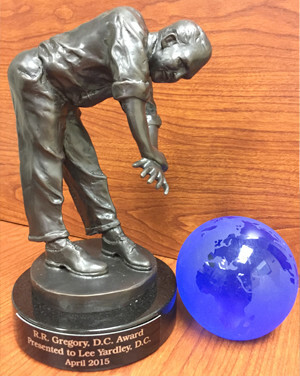 D.C. Award in 2015. Receive a Free Health Consultation! Designed by Happy Hour Media Group | Yardley Institute Director, Lee G. Yardley D.C.